The challenges of open competition because globalization is a challenge for all individuals and also the state in carrying out its functions as an institution that regulates the life of the nation and state in achieving prosperity. Globalization and connectivity make someone sneeze in the European hemisphere and cause flu for others in Asia. More specifically, the real challenge currently faced by ASEAN countries is open competition which is a consequence of the suppression of Asian Charter contracts by leaders of ASEAN countries on December 15, 2008. Cooperation agreements that resemble the union of European countries within the European Union making the movement of goods, people, and money become unhindered by territorial and political boundaries (borderless) this was then popularly known as the Asian Community which began to be effectively implemented in 2015. ASEAN Single Community brings its member countries to actual open competition. ASEAN countries that have developed economies such as Malaysia and Singapore rely on innovation and knowledge (innovation and knowledge based economy), while developing countries such as Indonesia and Viet Nam still rely on exploration of natural resources with minimal value added. Indonesia is one of the countries that is ogled because it has many things needed to become one of the most promising economic growth countries in Asia because of the large market, a promising demographic position with a composition of productive age far higher than the non-productive age and wealth abundant bio-diversity. According to the scenario made by the Asian Development Bank (ADB) in a publication entitled ASIA 2050: Realizing Asian Century, one of the pillars to accelerate Indonesia into a developed country that is ready to compete and take part in the ASEAN Charter is through the development of human capital due to knowledge capital to build an economy based on innovation and knowledge is in human resources that are educated and competent in the world of work. This is where higher education through universities, institutes, high schools and academies as a place to educate workers who are ready to enter the world of work (ready manpower) takes a very big role. When the world focuses on the emergence of Asia as a global economic power, higher education in Asian countries becomes more important than before (Coffait & Hill, 2012). This is because the workforce with high expertise and knowledge is needed to accelerate economic growth and avoid the country from the midle-income trap generated by higher education institutions. Therefore, higher education institutions such as universities, colleges, high schools and polytechnics need to see this as a challenge that should be responded to with changes in the strategy of implementing education in these institutions. 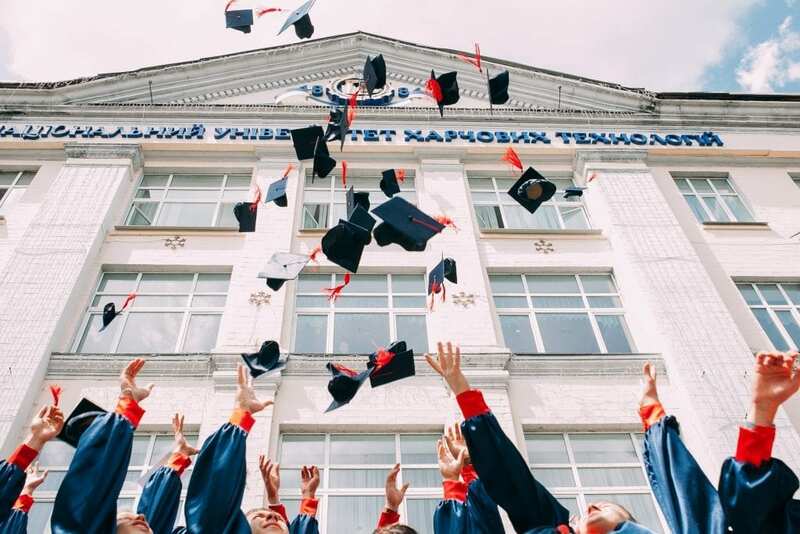 In addition, a policy strategy at the national level is needed to make higher education produce workers with high competencies that are in accordance with the needs of the environment and the world of work in national development and who are ready to face global competition. The Century of Asia 2050 and the ASEAN Single Community 2015 will bring the pattern of state relations in the ASEAN region into a totally new relationship. Not only countries in the ASEAN region actually, but also regions around this region such as Australia and New Zealand. In 2013, Australia even published a white paper, a text that contained Australia’s strategy in welcoming the challenges of the 2050 century Asia. In this document, Australia truly placed ASEAN as an important partner for regional cooperation. This is understandable. Even though Australia is geographically within the Melanesian group, but in the economic arena, Australia is closer to ASEAN countries. Facing the challenges of freedom of mobilization of goods, services, money and especially labor force requires universities to be able to reduce these challenges to the level of curriculum and learning approaches so that the output of universities is ready to face these challenges. The question is, when highly educated workers with more competitive values ​​are produced by neighboring countries entering Indonesia and competing with our country’s tertiary education graduates, it is realized that currently students in the medical school that they will compete with doctors from Singapore who can opening practice or becoming a doctor in various hospitals in Indonesia? Do students realize that they will compete with engineers from Malaysia or Thailand? Or a bigger question is the realization of the universities and students in eastern Indonesia or in Kalimantan about what they are facing in the global competition generated by the Asian community agreement or the challenges of the Asian Century? There is clearly a very high information disparity here, not only between geographical regions but also between clusters of disciplines within a University. Those who may be most aware of this challenge are students who study in the Faculty of Social Sciences and the Faculty of Economics and Business. After they are aware of the challenge, the next question is are they ready to face the challenge? The most simple but troublesome thing for many Indonesian students is language problems. Say in a scientific way that they are ready they are ready, but with the language barrier they have how they can communicate these capabilities to the global world. Meanwhile, our neighbors Singapore and Malaysia do not have problems using English. Thus, one of the homework that must be completed quickly by our tertiary institutions is how to make English easy for students to master. Maybe there should be a change in the approach to learning English in our schools and universities. Of course there is something wrong if the English taught since junior high school up to college does not make our students able to communicate actively with that language. Coffait, L & Hill, J. 2012. Blue Slies: New Thinking about the Future of Higher Education in the Asia-Pasific Region.Hongkong: Perason Asia Pasific. The challenge of open competition because of globalization become the challenge for all and also countries in running its function as an institution that regulate the life of nation and state in achieving prosperity. Globalization and connectivity make one’s sneeze in the European hemisphere cause flu for others in Asia. More specifically, the real challenge currently faced by ASEAN countries is the open competition which is the consequence of the suppression of Asian Charter contract by the leaders of ASEAN countries on December 15, 2008. The cooperation agreement that resembles the unity of European countries in the EU makes the movement of goods, people, and money become without obstruction of territorial and political boundaries (border-less) is then popularly known as the Asian Community which began effective implementation in 2015. ASEAN Single Community brings its countries member to the real open competition. ASEAN countries with advanced economies such as Malaysia and Singapore are based on innovation and knowledge based economy, while developing countries such as Indonesia and Viet Nam still rely on the exploration of natural resources with minimal value added. Indonesia is one of the countries that being glimpsed because it has many things needed to become one of countries with the most promising economic development in Asia because of its huge market, promising demographic position with productive age composition which is much higher than non-productive age and abundant wealth of bio-diversity. Based on the scenario made by Asian Development Bank (ADB) in publication entitled ASIA 2050: Realizing Asian Century, one of the pillars to accelerate Indonesia into a developed country that is ready to compete and take a role in ASEAN Charter is through the development of human capital because the knowledge capital to build an innovation-based economy and knowledge is inside the educated human resources and competent in the working world. Here the higher education through University, Institute, High School and Colleges as a place to educate resources which ready to jump down to the working world (ready manpower) taking a great role. As the world’s eyes focus on the emergence of Asia as a global economic power, higher education in Asian countries becomes more important than ever (Coffait & Hill, 2012). This is because the workforce with the skills and knowledge required to accelerate the economic growth and to avoid the state of the middle-income trap generated by higher education institutions. Therefore, higher education institutions such as universities, colleges, high schools and polytechnics need to see this as a challenge that should be responded by changing the educational strategy of the institution. In addition, policy strategies are needed at the national level to make higher education produces workforce with high competence in accordance with the needs of the environment and the working worlds in national development as well as those are ready to face global competition. Asian Century 2050 and ASEAN Single Community 2015 will bring a relationship pattern of countries in ASEAN Region to the entirely new relationship. It is actually not only countries in ASEAN Region, but also territory around the region such as Australia and New Zealand. In 2013, Australia even published a white paper which is a document containing Australian strategies in welcoming the new challenge in Asian Century of 2050. In the document, Australia really placed ASEAN as their important regional cooperation partner. This can be understood. Even though Australia is geographically located in a group of Melanesia countries, but in economic arena, Australia is closer to ASEAN countries. Facing the challenge of freedom mobility of goods, service, money, and especially workforce requires universities to be able to put the challenge into the curriculum and learning approach so that the output of universities is ready to face the challenge. The question is, when these educated workforces with higher competitive value produced by the neighbor countries entering Indonesia and compete with our own university graduates, do medical school students aware now that they will compete with doctors from Singapore who can open a practice or become a doctor in various hospitals in Indonesia? Do engineering students aware that they will compete with engineers from Malaysia or Thailand? Or the bigger question is do universities and its students in East Indonesia and Borneo aware about what they are facing in global challenge resulted by the agreement of Asian Community or the challenge of Asian Century? Obviously there is a very high disparity of information here, not just between geographical areas but also among clusters of disciplines within a University. Perhaps the most aware students of this challenge are students studying at the faculty of Social Politics and Faculty of Economics and Business. Once they are aware of the challenge, the next question is, do they ready to face the challenge? The simplest thing but disturbing many students in Indonesia is the problem of language. Let’s say, scientifically they are ready, but with the language barrier they have, how will they can communicate their capability to the world. While our neighbor, Singapore and Malaysia do not have the problem using English. Therefore, one of the home works to be done faster by our universities is how English can be learnt easier by the students. May be there must be a change in the approach to study English in our schools and universities. There must be something wrong if English is taught since Middle School until collage but cannot make our students actively communicate with the language. This article was written by Erik Sofiatry Marangga, fellow researcher at the Center for Southeast Asian Social Studies (CESASS).